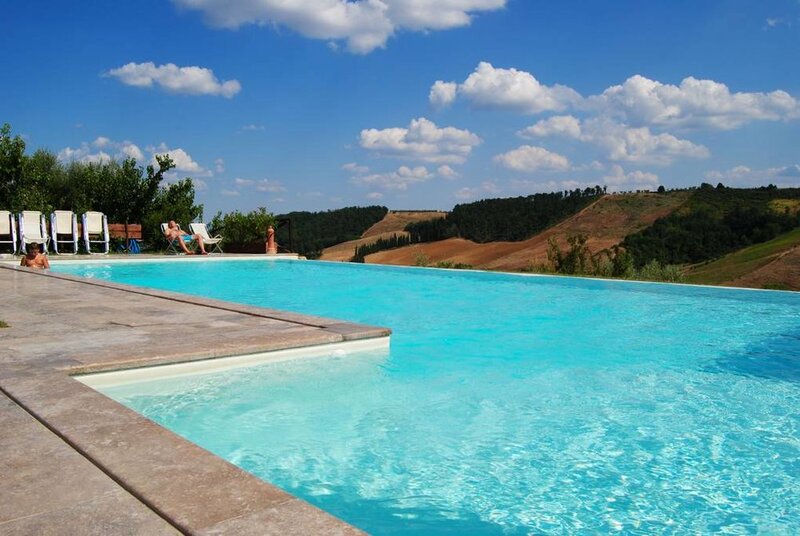 We will be staying at our favorite family-owned farmhouse tucked away in the Tuscan hills amid Italy's stunning Chianti region an hour's ride from Florence. A working 'agriturismo', the farm produces its own olive oil, Chianti wine, honey and is home to a herd of long-maned Icelandic horses. Hiking trails pass through the farm's vineyards, connecting you to some of the regions most idyllic views. San Gimignano, known as the 'Medieval Manhattan' for its thirteen noble towers, visible from the farm, is a glorious hour's hike or a ten minute taxi ride away. A pond and two pools dot the property, the perfect place to drink in the surroundings. Meals are served 'al fresco' under the shade of a veranda with a 180 degree view, an image that will remain with you long after you leave. For six days and five nights we will be writing and nurturing our creative selves. 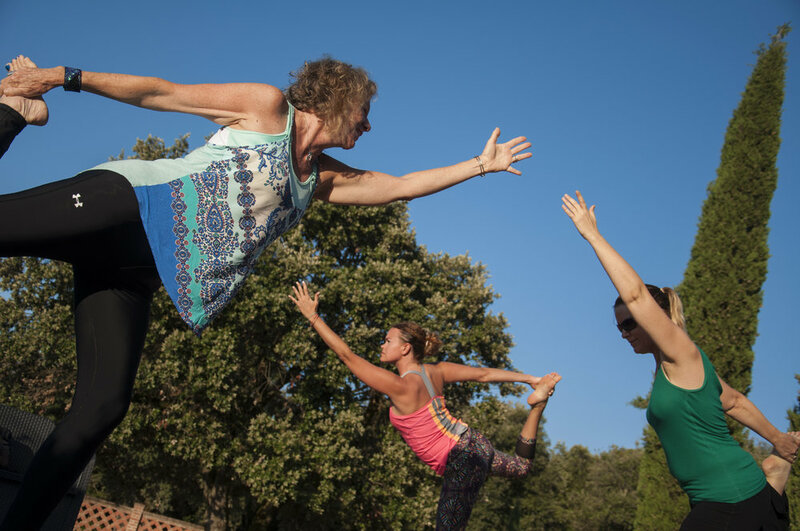 Through daily morning yoga, workshops, writing prompts and using all that the countryside has to offer, this retreat is guaranteed to transform your writing and your connection to your senses. Days are long and warm in September and our schedule allows plenty of time for playing, hiking, exploring and of course, writing. Nights are cool and September just so happens to be the season of shooting stars. Over the last thirty years, a father and son team have transformed what used to be a working agricultural farm into a stunning holiday retreat. The kind of place that pulls you back, travelers tend to return year after year, forever attached to the setting and the staff. Rooms are spacious, comfortable, simple and some open out to stunning views of the countryside. Each room has air-conditioning, a desk for writing and its own ensuite bathroom. The wifi is patchy which allows for a true escape. Nonetheless, on a good day it can be found near the reception. 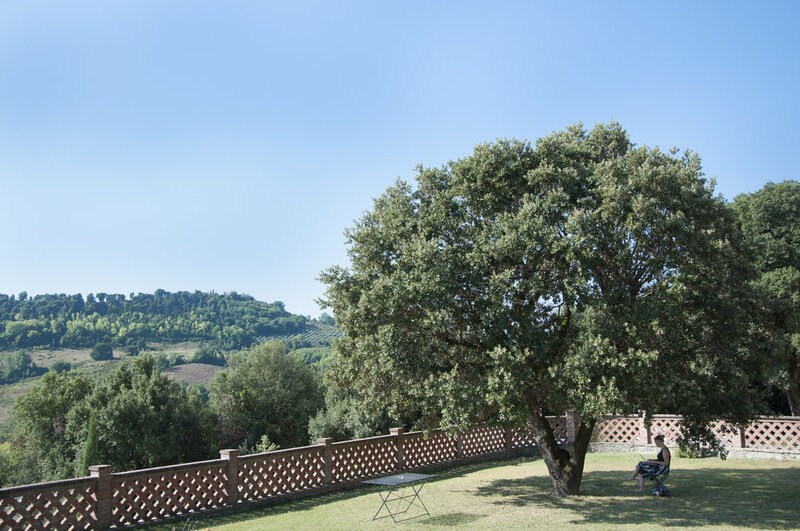 $2650 includes five nights in a single accommodation in a charming farmhouse room with an ensuite private bathroom, all workshop fees, transportation by private coach to and from Florence airport, breakfast, lunch and dinner (including wine) and optional daily yoga. Shared options available on request. Airfare not included. To secure your spot, a non-refundable deposit of $500 is required. If this retreat interests you, please do sign up soon as spaces tend to fill up quickly. Dulcie and Nancy found their way to RUC in 2018 and fell in love with the warmth and wisdom of RUC's family of owners. 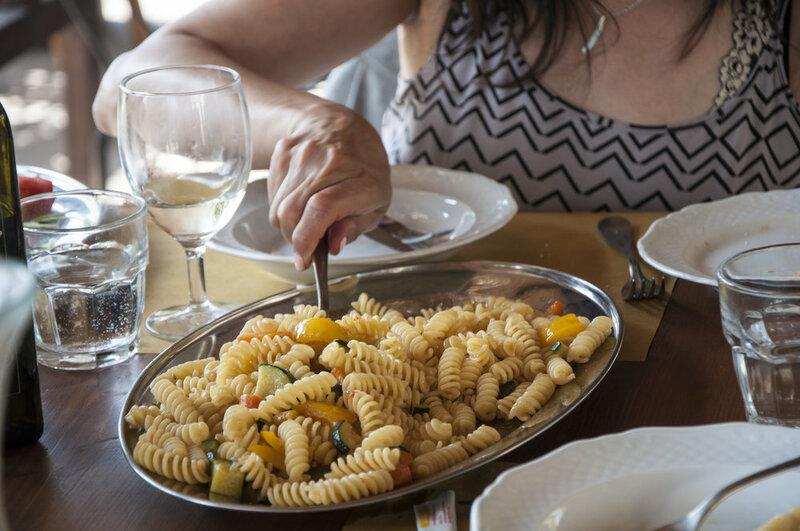 Their deep connection to the land and the culture make this the perfect spot to immerse yourself in a writing project while being held in what we found to be quintessential Italian beauty, history and hospitality. Giulia and Davide welcome us into their family villa, located in Cividate, home to the largest ancient Roman city at one time and now a village off the beaten path at the foot of the majestic dolomitic Alps. Private rooms, countless nooks and shady trees to curl up and write or read to your heart’s content. Meals are a joyous celebration of the senses, served family style in their comfortable country elegant dining room. There’s hiking and walks and old ruins to explore on your own as well as with our hosts, who are available for information and guiding. We will arrange transportation at the end of our retreat in Tuscany to RUC on Friday, September 6. Dulcie and Nancy will join the group for the weekend, organizing readings and writing sessions for anyone that is interested in doing so. Guests can make their own arrangements for staying at RUC directly with Giulia through their website. Stay as long as you like. You can continue work you brought to Tuscany or began in Tuscany. Or you can just relax, soak it up and be grateful that you brought you and your writing here. Deposits and full payments are non-refundable. If you have any questions about whether or not this retreat is for you, please contact us. We'd be happy to answer your questions or even put you in touch with a past participant. Please be sure to enter your address correctly. Please be sure to specify which dates you're inquiring about.